Magic can do a lot-give you flight, show you mermaids, help you taste the stars, and... solve the budget crisis? That's what the grown-ups will do with it if they ever make it to Neverland to steal its magic and bring their children home. However, Gwen doesn't know this. She's just a sixteen-year-old girl with a place on the debate team and a powerful crush on Jay, the soon-to-be homecoming king. She doesn't know her little sister could actually run away with Peter Pan, or that she might have to chase after her to bring her home safe. 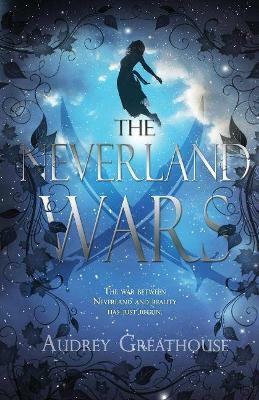 Gwen will find out though-and when she does, she'll discover she's in the middle of a looming war between Neverland and reality. She'll be out of place as a teenager in Neverland, but she won't be the only one. Peter Pan's constant treks back to the mainland have slowly aged him into adolescence as well. Soon, Gwen will have to decide whether she's going to join impish, playful Peter in his fight for eternal youth... or if she's going to scramble back to reality in time for the homecoming dance. Audrey Greathouse is an active member of the Society of Children's Books Writers and Illustrators and seven-time winner of the National Novel Writing Month challenge. Her BA in English Language and Literature comes from Southern New Hampshire University, where she completed her honors thesis on Victorian children's literature. In 2013 she sold her first young adult science-fiction novella, Dr. Derosa's Resurrection, to Mad Scientist Journal for serial publication. She currently writes for Telepathic/TLDR, a silicon valley literary venture which will be released in the autumn of 2015. Initially from Seattle, she is enjoying the footloose lifestyle her freelance fiction writing affords her. Audrey is a classically trained pianist and unconventionally trained circus artist, specializing in fire eating and aerial silks. Her long-term goals as an author are to make a modest living writing novels and to build a following that will dress up and participate in her avant-garde art projects. She hopes someday she will be able to tour with other musicians and circus performers, building a traveling cabaret around her stories. Her short-term goals include steadily building her readership and traditionally publishing her YA fantasy series, The Neverland Wars.